The Quad Fuels Ltd team are encouraging our domestic customers to check their oil storage tanks and heating systems ahead of the approaching winter season. Please make sure that you place your domestic heating oil order early to beat the inevitable winter rush. Last year was an exceptionally long and cold winter, with the cold temperatures from December staying with us right through to April; with heavy snow falls making it difficult to access customer premises, being rather treacherous at times. There have been recent warnings of similar conditions this winter, so be prepared. Arrange to have your boiler serviced annually so that it burns more efficiently. You can also add our premium grade additives which assists with boiler and cooker performance – please ask Quad Fuels for more details. Check your tank and pipe lines for any signs of corrosion, cracks, splits or general wear; this can ultimately lead to leaks into your garden. You can always spread the cost of your fuel supply with our monthly payment plan – ask the Quad Fuels Ltd team for details next time you order. If you do order oil, please make sure that your roadways are kept clear for the driver during times of snow fall; also make sure that tanks are unlocked to allow access and properties are well sign posted. If there are multiple tanks on site or close to your neighbours, please can you make it clear which one is yours with your name clearly marked. With only 6 weeks until Christmas, it is never too early to order your heating oil. Please don’t get caught out in the cold this winter!! Your heating is in our hands. 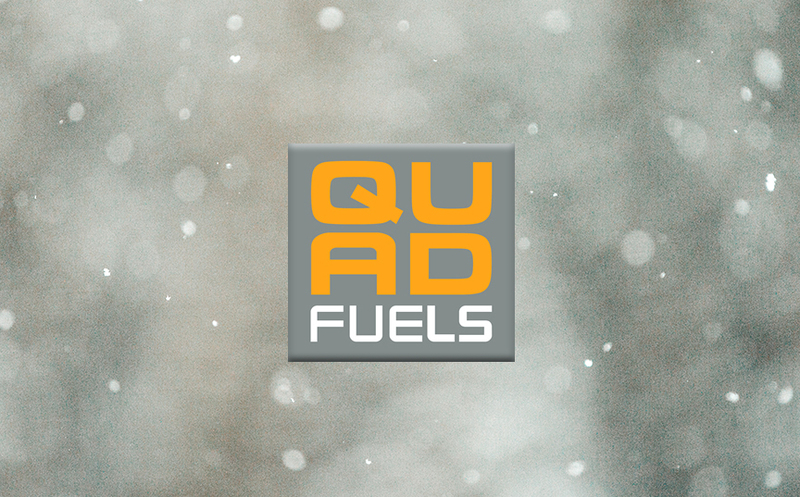 Call the Quad Fuels ltd team today on 01492 353103 or 01978 423150.